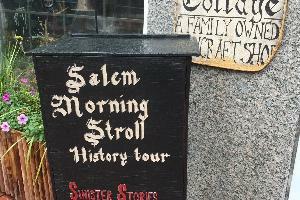 Sinister Stories of Salem is a hauntingly magical two hour walking tour that takes you through downtown Salem, past historic graveyards through the eerie alley ways and down the cobblestone paths that echo with the spirits of this ancient New England City. This is a theatrical tour based on historical figures, legends of Salem and unearthly spirits. Your tour guide is local, native born Kenneth Dyke-Glover. Kenneth is a practicing Quaker, trained embalmer and a spirit medium. While he does not identify as a witch religiously, he has received training in various occult disciplines from both Salem and abroad. Kenneth invites the spirits to walk among you on the tour by singing and telling personal tales. At the close of the tour you are invited to stay on and participate in a ritual circle of connection between the living and the dead. Not recommended for most children under the age of 13. Private group tours also available upon request. The Salem Morning Stroll is a two hour, comprehensive historical walking tour of Salem by a guide licensed by the City of Salem. 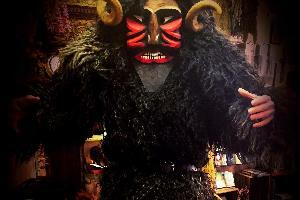 The 6:00pm Salem Krampus Tour is a yuletide tour in December. 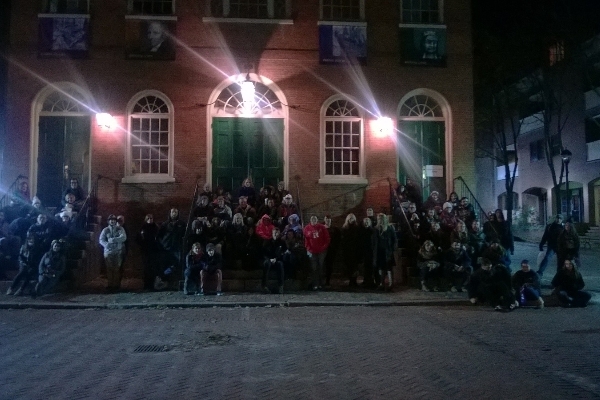 The tour meets at The Coven's Cottage, 190 Essex Street, Salem, MA. All ticket sales are final at the time of purchase. Customers may reschedule dates prior to the date of the purchased tour if they can't make it to the original tour that they scheduled. Rescheduling is subject to availability. Customers that reschedule may not reschedule to a different tour than what they originally purchased and they cannot reschedule to special tour date events. Sinister Stories of Salem and the Salem Krampus Tour may not be suitable for some children under the age of 13 please keep this in mind when scheduling your tour. Refunds are available for any person(s) who cannot make it to their scheduled tour due to serious illness, prior injury or family emergency.